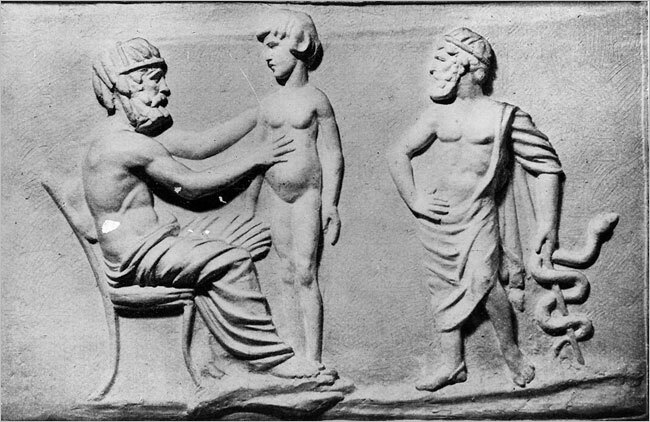 One of the oldest binding documents in history, the Oath written by Hippocrates is still held sacred by physicians: to treat the ill to the best of one’s ability, to preserve a patient’s privacy, to teach the secrets of medicine to the next generation, and so on.There are many versions of the Hippocratic Oath. We here present two versions. First, the “classic” version (or more precisely, one translation of the original oath). And then, following it, is presented one of the fine “modern” versions of the Hippocratic Oath. Ὄμνυμι Ἀπόλλωνα ἰητρόν καί Ἀσκληπιόν καί Ὑγείαν και Πανάκειαν καί θεούς πάντας τε και πάσας, ἵστορας ποιεύμενος, ἐπιτελέα ποιήσειν κατά δύναμιν καί κρίσιν ἐμήν ὅρκον τόνδε καί ξυγγραφήν τήνδε.Ἡγήσεσθαι μέν τόν διδάξαντά με την τέχνην ταύτην ἴσα γενέτῃσιν ἐμοῖσι, καί βίου κοινώσεσθαι, καί χρεῶν χρηίζοντι μετάδοσιν ποιήσεσθαι, καί γένος τό ἐξ αὐτοῦ ἀδελφεοῖς ἴσον ἐπικρινέειν ἄρρεσι, καί διδάξειν τήν τέχνην ταύτην, ἥν χρηίζωσι μανθάνειν, ἄνευ μισθοῦ καί ξυγγραφῆς, παραγγελίης τε καί ἀκροήσιος καί τῆς λοιπῆς ἁπάσης μαθήσιος μετάδοσιν ποιήσασθαι υἱοῖσι καί τοῖσι τοῦ ἐμέ διδάξαντος καί μαθηταῖσι συγγεγραμμένοις τε καί ὡρκισμένοις νόμῳ ἰητρικώ, ἄλλῳ δέ οὐδενί.Διαιτήμασί τε χρήσομαι ἐπ᾿ ὠφελείῃ καμνόντων κατά δύναμιν καί κρίσιν ἐμήν, ἐπί δηλήσει δέ καί ἀδικίῃ εἴρξειν.Οὐ δώσω δέ οὐδέ φάρμακον οὐδενί αἰτηθείς θανάσιμον, οὐδέ ὑφηγήσομαι ξυμβουλίην τοιήνδε˙ ὁμοίως δέ οὐδέ γυναικί πεσσόν φθόριον δώσω.Ἁγνῶς δε καί ὁσίως διατηρήσω βίον τόν ἐμόν καί τέχνην τήν εμήν.Οὐ τεμέω δε οὐδέν μην λιθιῶντας, ἐκχωρήσω δε ἐργάτῃσιν ἀνδράσιν πρήξιος τῆσδε.Ἐς οἰκίας δε ὁκόσας ἄν ἐσίω, ἐσελεύσομαι ἐπ᾿ ὠφελείῃ καμνόντων, ἐκτός ἐών πάσης ἀδικίης ἑκουσίης καί φθορίης τῆς τε ἄλλης καί ἀφροδισίων ἔργων ἐπί τε γυναικείων σωμάτων καί ἀνδρείων, ἐλευθέρων τε καί δούλων.Ἅ δ᾿ ἄν ἐν θεραπείῃ ἤ ίδω ἤ ακούσω, ἤ καί ἄνευ θεραπείης κατά βίον ἀνθρώπων, ἅ μή χρή ποτε ἐκλαλέεσθαι ἔξω, σιγήσομαι, ἄρρητα ἡγεύμενος εἶναι τά τοιαῦτα. Ὅρκον μέν οὖν μοι τόνδε ἐπιτελέα ποιέοντι καί μή ξυγχέοντι εἴη ἐπαύρασθαι καί βίου καί τέχνης, δοξαζομένῳ παρά πᾶσιν ἀνθρώποις ἐς τόν αἰεί χρόνον˙ παραβαίνοντι δέ καί ἐπιορκέοντι, τἀναντία τουτέων. These concepts we find intact to Hippocrates. 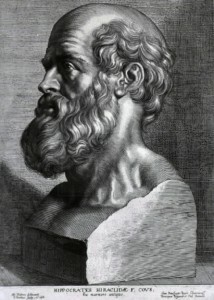 The exact mix, equality before the law, symmetry, harmony, are the basis of the doctrines of the Pythagoreans and Ippokrati.Grafei features Hippocrates: “In man there is the bitter and salty, sweet, sour, astringent and the the bland … and these components when mixed and combined together, neither shown nor affect humans. But when some of all separated and left alone it seems to cause harm “. If we eat a lot of sweets and hydrocarbons and has become our body chocolate and patisserie, there has been an imbalance. The prevalence of fresh weight of bitter will pay dearly indeed. The volumes are full of zachari.Afto demonstrated the Warburg. In 2001 a medical conference in Karlsruhe, Germany, confirmed the adage: “that is bitter in the mouth, it is good for the stomach.” It was stressed that the bitter substances, contributing decisively to the overall process of digestion. And we will adopt the tactics of the University Hippocrates who told us that we are what we eat … But what happens there nowadays this spate of cancer? Let us know the Hippocratic anticancer defense, which is based on a balance of four basic tastes. The almond oil is obtained from the fruit of the kernel. Rich in vitamins A, E, B1, B2, B6, B17, and trace elements. Vitamin B17 is vitamin. It is the old name of amygdalin, as we read in an article news portal. Amygdalin is the bitter component of almonds and a potential toxin as it can release cyanide in the body. The amygdalin is considered to have anticancer properties, but this has not been proven scientifically. It has been argued that the exclusion of bitter substances – only delight and pleasure in our throat is our motto – we excluded one of the four primary tastes: salty, sour, bitter, sweet. Many have rejected and sour and have chosen the salty and sweet. So balance (isorropia). 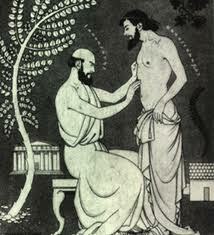 Hippocrates emphasized the balance, influenced by the father of Greek medicine doctor Alkmaion. 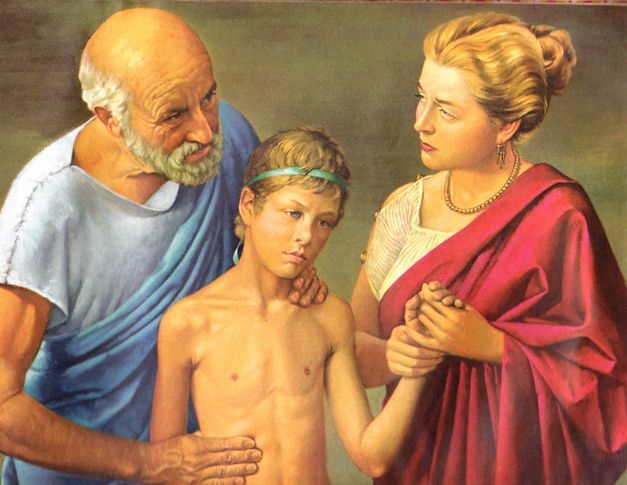 Hippocrates was the first who took into account the environment, working conditions and weather. 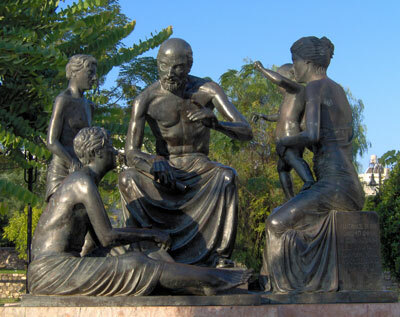 A special place in medicine Hippocrates had nature. When the father of modern medicine, is inherent in man an animal power, which determines the balance of the body and is none other than nature. Therefore, investigating the natural environment of the patient. Residence, the atmosphere in which he lived, and the weather changes its place. Proper nutrition and diet were also key requirements for good human health. 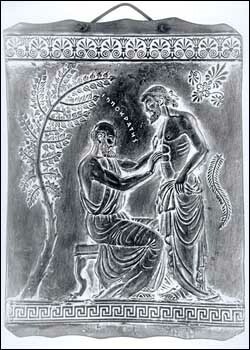 The Hippocratic Oath (Ορκος) is perhaps the most widely known of Greek medical texts. It requires a new physician to swear upon a number of healing gods that he will uphold a number of professional ethical standards. It also strongly binds the student to his teacher and the greater community of physicians with responsibilities similar to that of a family member. 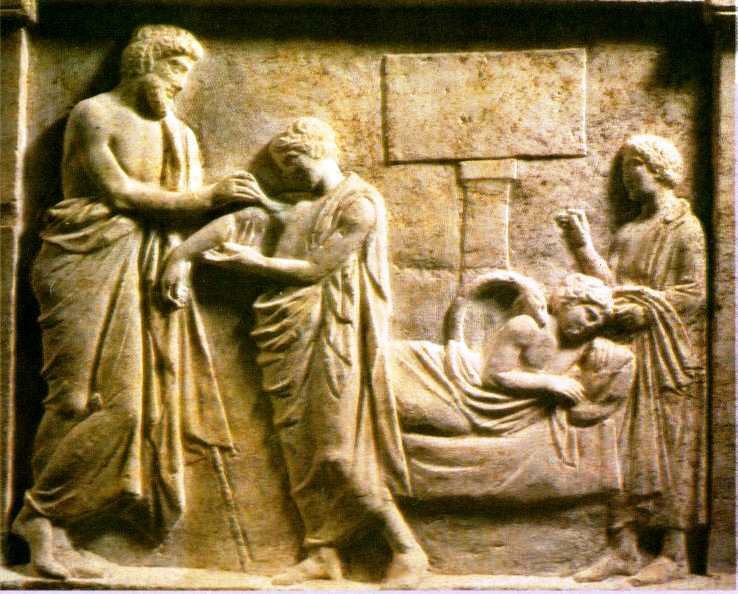 In fact, the creation of the Oath may have marked the early stages of medical training to those outside the first families of Hippocratic medicine, the Asclepiads of Kos, by requiring strict loyalty. Over the centuries, it has been rewritten often in order to suit the values of different cultures influenced by Greek medicine. 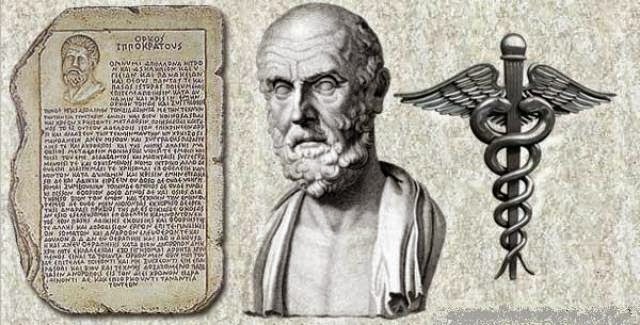 Contrary to popular belief, the Hippocratic Oath is not required by most modern medical schools, although some have adopted modern versions that suit many in the profession in the 21st century. It also does not explicitly contain the phrase, “First, do no harm,” which is commonly attributed to it.